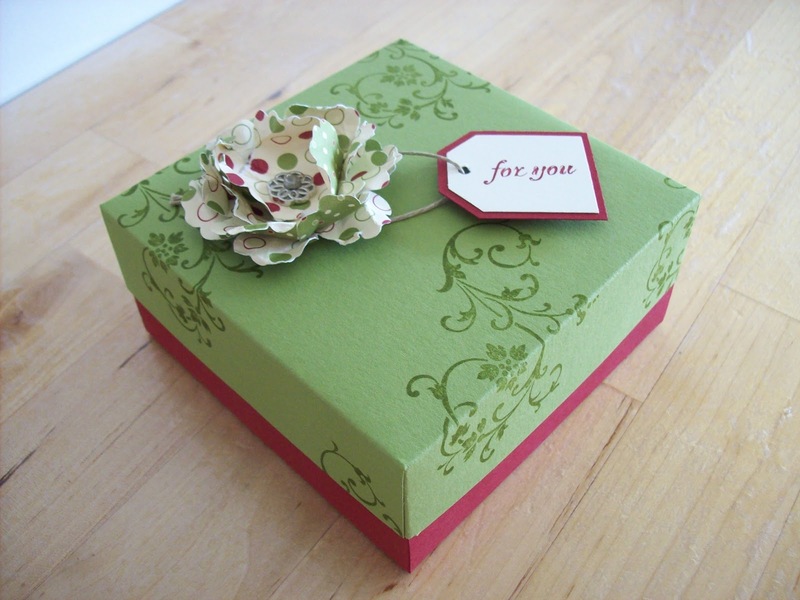 This Christmas box is very handy for all sorts of gifts: chocolates, cd's and gift cards. You can decorate them to your christmas colour theme. Accessories: DSP Jolly Holiday, Tag Punches, Blossom Punch, Antique Brad, Linen Thread, Stampin Dimensionals and Adhesive. There are several different sizes of boxes you can make. Here are a couple of tutorials for you!